Do more than just send a letter to Santa, give back as you do it! This year marks the 7th year of Macy's Believe campaign which invites believers of all ages to drop off letters to Santa using their special Santa Mailboxes. For every letter you send to Santa, Macy's will donate $1 to Make-A-Wish (up to $1 million dollars)! You can find the big red Santa mailbox inside Macy's stores nationwide. If you have trouble finding it, just ask! Macy's Believe campaign is such a great way to focus your children's attention on giving back instead of just receiving! As your kids focus on others, those smiles are sure to follow. 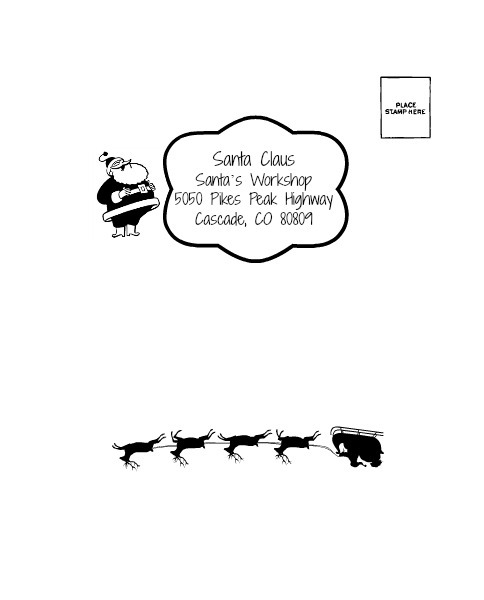 Print out your own easy to finish Santa Letter and head over to Macy's to mail yours! Simple click the picture to print. The address on the envelope also gets you a postcard back from Santa. Last year, Make-A-Wish granted the wishes of more than 14,000 children across the United States. That means a wish is granted every 38 minutes! Know someone that could benefit from Make-A-Wish's generosity? Anyone can refer a child. The child must be between 2 1/2 and 17 years old at the time of referral, must have a life-threatening medical condition, and cannot have had a wish before with Make-A-Wish (or another wish granting organization). Make-A-Wish is helping one brave 4 year old girl from San Mateo. Joysse was diagnosed with leukemia and after several rounds of treatment and missing out on all the normal toddler fun, she is now in remission! Joysse's wish is for a princess party complete with purple and pink decorations, a princess dress with a cape and crown, cake, ice cream, and everything that makes a princess party great. Joysse will have her party this January but first, Macy's will be helping her prepare for her wish with a very special celebration at the San Francisco Union Square location! You can just picture her smile already. Help keep kids' wishes, like Joysee's, alive by visiting your local Macy's store now through Christmas Eve. Remember for every letter received through December 24, Macy's will donate $1 to Make-A-Wish (up to $1 million). Send your letter online at Macy's Believe instead. It's quick and easy still counts towards the donation.